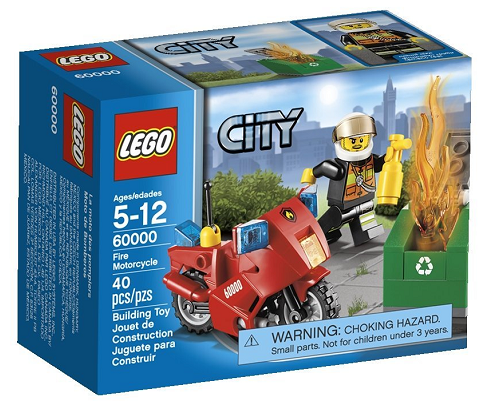 LEGO City Motorcycle Just $5.99! You are here: Home / Great Deals / Amazon Deals / LEGO City Motorcycle Just $5.99! Is there a LEGO fan in your house? If so, you can get the LEGO City Motorcycle for just $5.99 on Amazon right now! LEGO products can be so pricey so anything over 25% off seems like a good deal to me. Includes firefighter minifigure with fire extinguisher. Features Fire Motorcycle and a recycling container. Recycling container features opening lid.